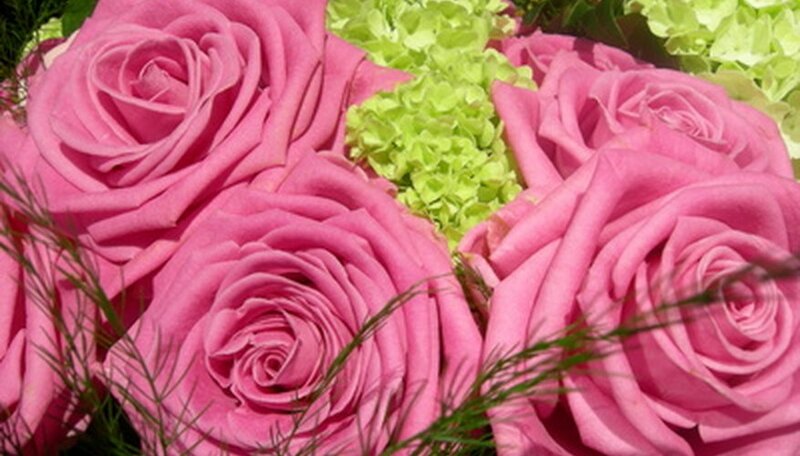 Roses are very popular perennial flowers that grow on shrubs or vines. Common names for roses can be very descriptive of the color or appearance, and some roses are even named after famous people. However the scientific name of the genus is Rosa, in the family Rosaceae. Within this category, there are over 100 species with individual scientific names. Hybrid tea roses are scientifically known as Rosa hybrids. They are one of the most popular types of roses, combining the strength of the hybrid perpetual rose with the variety of colors and fragrances of the tea roses. The beautifully elegant shape and full-blossoming flower grows approximately 3 to 6 feet high. The scientific name for the Alba rose is Rosa alba. It means “white roses” and describes the vivid color of the flower, which can range from white to a very pale pink. Alba roses are one of the oldest garden roses available. These roses flower once a year, in the spring. The Polyantha rose, or Rosa polyantha, is a very hardy plant. These roses grow only 2 to 4 feet high, but make excellent plants for landscaping. They are low-maintenance and flower from spring until the fall in colors ranging from white to pink to red. Rosa grandiflora, or the grandiflora rose, is the result of a cross between the floribunda rose and the hybrid tea rose. This type of rose is quite resilient and tall, although not as popular as the hybrid tea or polyantha rose. The Damask rose is scientifically known as Rosa damascena. According to the Institute of Himalayan Bioresource Technology, this perennial plant is one of the most fragrant of roses and originated in the Mediterranean or Middle Eas.